The New Jersey Department of Environmental Protection today made public a draft proposed regulation to reduce greenhouse gases from the electricity sector, which will be open for public comment from Dec. 17 to Feb. 15. In developing this proposed rule, New Jersey has taken an important step towards resuming participation in our regional market-based program. The RGGI states applaud New Jersey’s progress and appreciate the many collaborative conversations that have taken place thus far. As we evaluate New Jersey’s proposed regulation, we note the consistency of the proposed program elements with those set forth in the 2017 Model Rule. The RGGI states have now established a track record of more than a decade of auctioning allowances and reinvesting proceeds for consumer benefit. During this time, our states have significantly reduced power sector emissions while enhancing economic growth. The entry of additional states into our market has the potential to make our regional program even more cost-effective, and allow more participants to share in these benefits. The RGGI states look forward to continuing conversations with New Jersey as its state-specific process for the rule moves forward, including the gathering of stakeholder input. 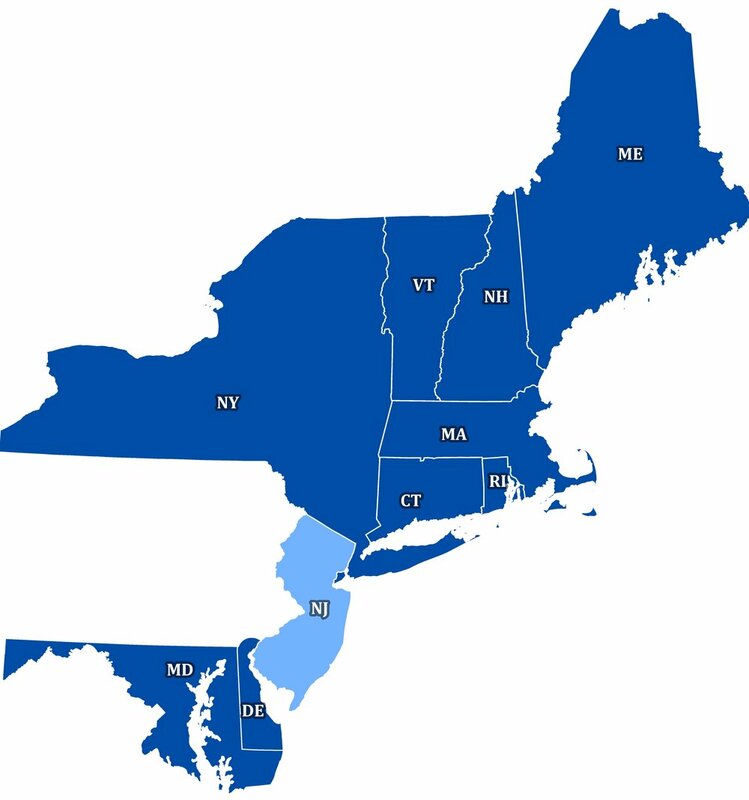 The New England and Mid-Atlantic states participating in the fourth RGGI control period (Connecticut, Delaware, Maine, Maryland, Massachusetts, New Hampshire, New York, Rhode Island, and Vermont) have implemented the first mandatory market-based regulatory program in the U.S. to reduce greenhouse gas emissions. The 2018 RGGI cap is 82.2 million short tons. The RGGI states also include interim adjustments to the RGGI cap to account for banked CO2 allowances. The 2018 RGGI adjusted cap is 60.3 million short tons. RGGI is composed of individual CO2 budget trading programs in each state, based on each state’s independent legal authority. A CO2 allowance represents a limited authorization to emit one short ton of CO2, as issued by a respective state. A regulated power plant must hold CO2 allowances equal to its emissions for each three-year control period. RGGI’s fourth control period began on January 1, 2018 and extends through December 31, 2020. For more information visit www.rggi.org. About Regional Greenhouse Gas Initiative, Inc. Regional Greenhouse Gas Initiative, Inc. (RGGI, Inc.) was created to provide technical and administrative services to the states participating in the Regional Greenhouse Gas Initiative. RGGI, Inc. is a 501(c)(3) nonprofit organization. For more information, visit www.rggi.org/rggi-inc/contact.